Companies looking for a leader face a big question: Pluck a CEO from the rank-and-file or pick a fresh face from outside the organization? Microsoft didn't have to look far for its new CEO. 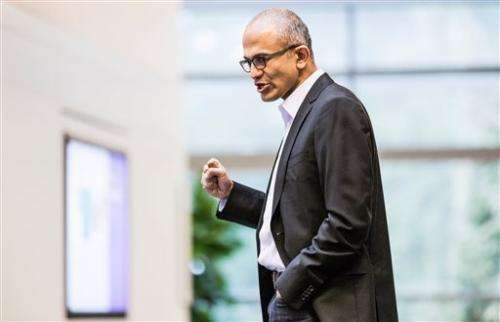 The software giant on Tuesday tapped 22-year company veteran Satya Nadella for the top job. 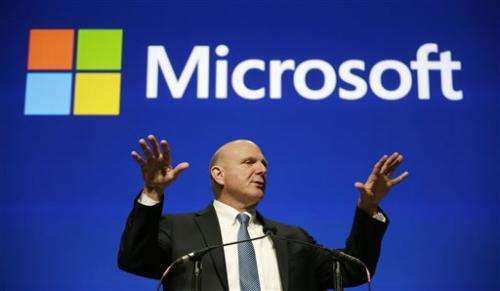 The appointment suggests that Microsoft isn't looking for a radical change in the way it operates. It's a move companies from Coke to Chevron have made when their corner office was empty. Companies such as Procter & Gamble even have made a habit of grooming CEOs from within. While outsiders may bring new energy and fresh perspective, they also come with more risk. Meanwhile, homebred insiders can bring many other benefits to the CEO suite, including extensive knowledge of the company's structure and familiarity with things like the organization's culture. That's a big reason why about two-thirds of CEOs have traditionally been hired from within, says Sydney Finkelstein, a professor of strategy and leadership at the Tuck School of Business at Dartmouth and author of "Why Smart Executives Fail." "There's always more risk when you go outside," says Bob Damon, executive chairman of the Americas for Korn Ferry, an executive search firm. Still, corporate history is dotted with examples of companies who have gone with outsiders and insiders, with varying results. Some companies have even gone one way and back the other way again. Best Buy faced a double whammy in 2012: its CEO Brian Dunn left amid allegations that he violated company policy by having an inappropriate relationship with a female employee. At the same time, its business was eroding due to tough competition from discount stores and online retailers. So the consumer electronics retailer decided to look outside for a fix—far outside. It hired French turnaround expert Hubert Joly as CEO in August 2012. Since then, Best Buy has cut jobs, closed stores, changed store layouts and implemented a price-matching policy to compete with online rivals and discounters. The company had disappointing sales during the holiday shopping season, raising concerns about the electronic retailer's turnaround plan. But most analysts say Best Buy is in a better position than it was before Joly came aboard, and the turnaround will be a long-term effort. Share movement shows investors seem to back Joly; the stock has nearly doubled since the beginning of 2013. CEO Muhtar Kent joined the world's biggest soda maker as a marketing trainee in New York in 1978 when he was 25. Kent has talked about the months he spent on delivery trucks, getting up before dawn to stock shelves and build displays at grocery stores. He went on to hold a variety of leadership positions around the world, including general manager of the Turkey and Central Asia region and president of the East Central Europe region. In his book, former Coca-Cola CEO Neville Isdell even recalls working with Kent to build up the company's business in Eastern Europe, saying "Muhtar was my most valuable lieutenant on the ground." Since Kent ascended to the spot in 2008, Coca-Cola has taken market share away from rival PepsiCo Inc. and significantly expanded its footprint in developing markets. Still, the company has been struggling to grow sales of its flagship soda business back at home and in other developed nations. Thirty years after joining the company as a financial analyst, John Watson ascended to the CEO spot in 2010. Chevron has been one of the few big oil companies able to grow its production in recent years, making the company and Watson a favorite among oil and gas investors. Watson has been spending enormous amounts of capital—$41.9 billion last year—on several giant oil and gas projects in Australia, the Gulf of Mexico, and elsewhere in an effort to keep production growing in the future. Investors have become more cautious about the company recently, however, because some of those projects are turning out to be more expensive than originally projected. In 2011, Ron Johnson, the mastermind behind Apple's stores, succeeded Mike Ullman as CEO at J.C. Penney. Johnson's honeymoon with investors was short-lived after he got rid of coupons and most sales in favor of everyday low prices. The business started to nosedive. The retailer recorded nearly $1 billion in losses and a 25 percent drop in revenue in the first year of the transformation. Last April, the board fired Johnson and rehired Ullman. Ullman still faces big challenges to get Penney back on the right path. The company has posted sales drops and big losses in the first three quarters of the current year as the effects of Johnson's strategies cast a dark shadow on the business. And while Penney announced Tuesday that its fourth quarter marked the first quarterly gain for a key revenue measure in more than two years, investors were hoping for more and the company's shares fell nearly 11 percent. Procter & Gamble, the world's biggest consumer product company, is known for grooming its CEOs from within over many years. It has only had 12 CEOs in 12 decades. Its current CEO A.G. Lafley is in the role for the second time in his career. Under Lafley's first tenure, he worked to acquire Gillette in a $57 billion deal, cut jobs and sold off the company's food brands. Then he retired in 2009. Restructuring continued under the next CEO, Robert McDonald, but investors grew increasingly restless about how long the turnaround was taking. The board rehired Lafley as CEO in May 2013. Since then, the company has reported mixed results. The company continues its turnaround plan that includes focusing on its most profitable core businesses and cutting costs. In 2001, Southwest Airlines Co. faced the dilemma of replacing an iconic leader, Herb Kelleher, who helped create the carrier. He built it from a Texas puddle-jumper to one of the nation's biggest airlines. His successor was Jim Parker, the airline's general counsel and a low-key contrast to the swashbuckling Kelleher. Parker kept the airline's streak of profitable years going and without laying off employees. That wasn't an easy task after the September 2001 terror attacks that devastated demand for air travel. But Parker clashed with labor unions, forcing Kelleher to intervene in contentious negotiations with flight attendants. Parker unexpectedly stepped down in 2004 and was replaced by another insider, chief financial officer, Gary Kelly. Southwest has remained profitable, expanded by buying AirTran Airways, and is poised to begin international flights this year.